The family of a missing County Tyrone woman have made a renewed appeal for information on the fifth anniversary of her disappearance. 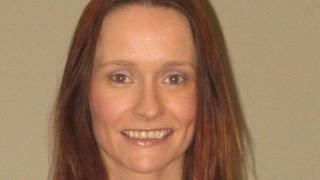 Charlotte Murray was 34 when she was reported missing in May 2013. Police have said they believe she was murdered. She had not been in contact with family or friends since October or November 2012. Ms Murray was originally from Omagh, but had been living in Moy. Her twin sister Denise said in a video posted on the PSNI's Facebook page: "It is heartbreaking to know that Charlotte is out there somewhere and we can't do anything to help her. "We feel guilty about going on with our everyday lives as Charlotte will never get the opportunity to continue on with hers." She said that family events and celebrations constantly remind the family of her sister's absence and appealed for information about her whereabouts. "Someone has taken her life and they know what they have done - we are appealing to that person to come forward," she said. "Please find the decency to tell us where she is. "We just want to say goodbye and lay her to rest." Det Ch Insp Eamonn Corrigan said police were working on the belief that Charlotte has been murdered and appealed to anyone with any information that would help with the investigation to come forward. "We have made significant progress over the past 12 months and I would like to make a specific appeal today for information about Charlotte's engagement ring and her mobile phone," he said. "Both these items are of great importance to my investigation. "The ring has a gold band with diamonds and also has a hexagon shape in the centre containing multiple diamond stones. "Charlotte's mobile phone was a Samsung Galaxy Y S5360," he added.